Regeneration, an innovative advancement in multiple vitamin and mineral formulation, is a three tier revitalizing pyramid. Just three power-packed soft gelatin capsules provide a daily nutritional program, complete with a precisely engineered profile of nutrients and highly specialized botanical extracts. Tier I replenishes the body's nutrient stores with a high energy profile of twenty-seven vitamins and minerals, including mega-potencies of beta carotene and vitamin E. These essential factors are vital for the liberation of energy from foods and the formation of structural components within the body. Tier II assists in the natural cleansing process. As toxins build up within the body, cellular function is compromised, resulting in low energy and poor health. Select botanical extracts such as standardized milk thistle, quadruple strength celery seed and parsley leaf concentrate are believed to support the natural cleansing and rejuvenation process. 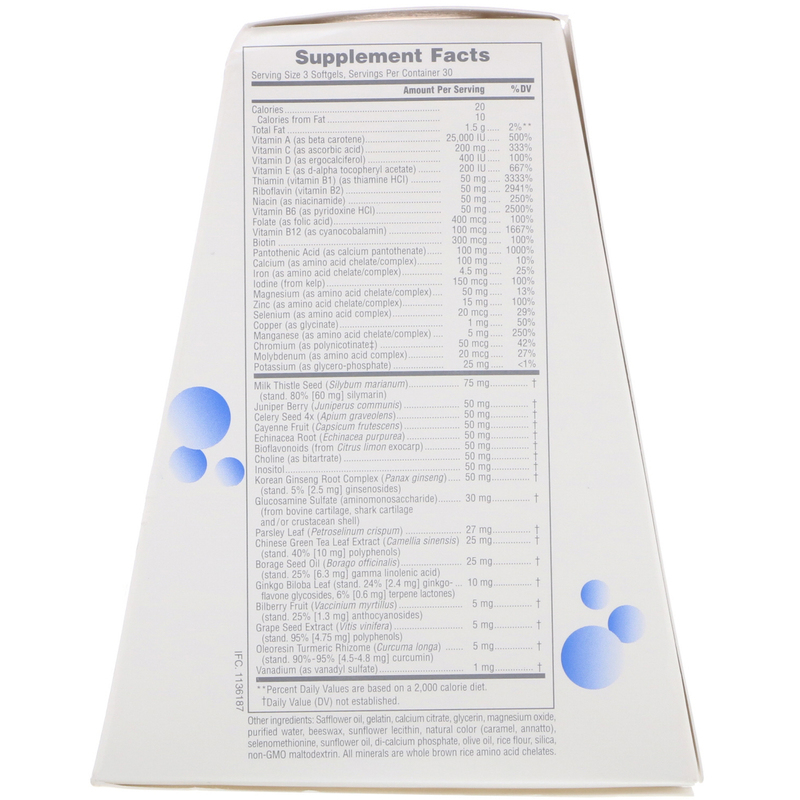 Tier III helps support the body's natural defenses. The healthy effects of antioxidants are well documented throughout scientific literature. Botanical extracts such as standardized ginkgo biloba, wild grape seed extract and Chinese green tea are believed to be the most powerful, natural antioxidants ever discovered. 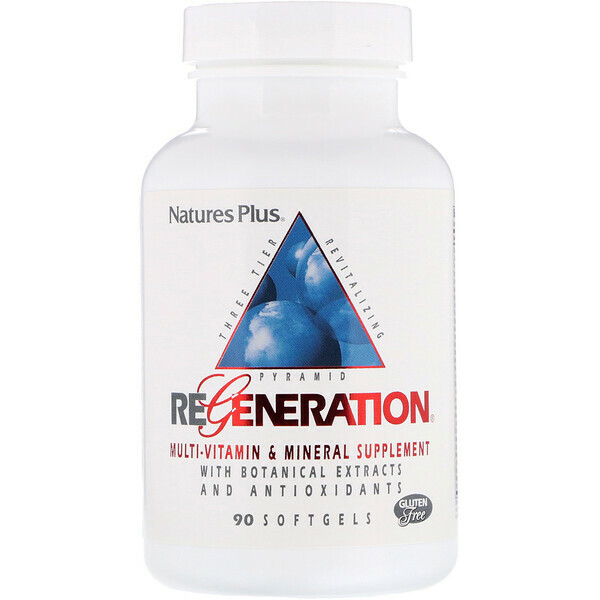 Regeneration, a three tier revitalizing pyramid, is an unparalleled multiple vitamin and mineral formulation for cellular replenishment, cleansing and protection. 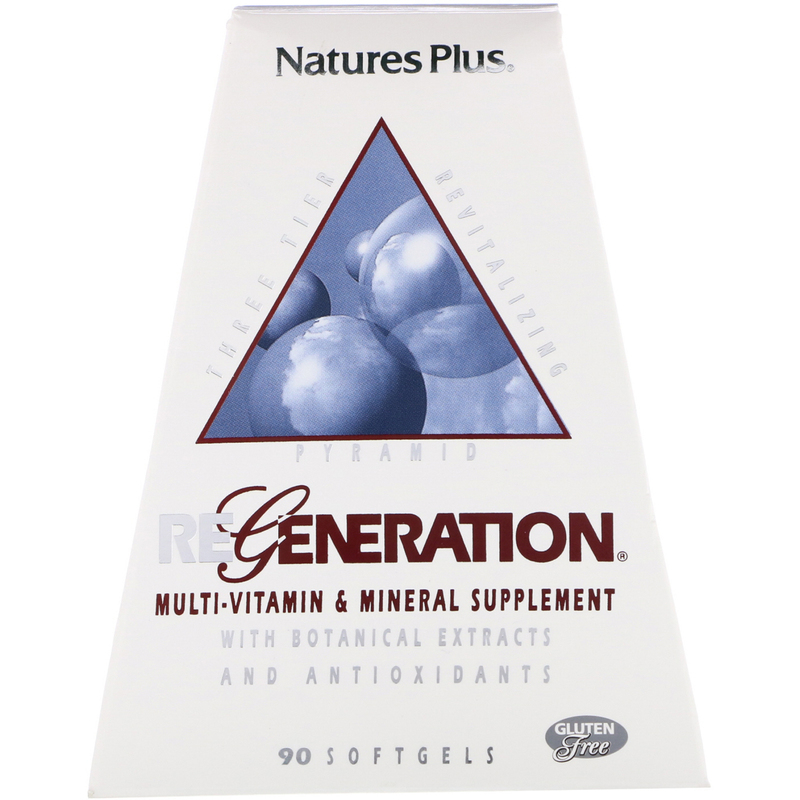 As a dietary supplement, three softgels once daily with a meal. Safflower oil, gelatin, calcium citrate, magnesium oxide, purified water, beeswax, sunflower lecithin, natural color (caramel, annatto), selenomethionine, sunflower oil, di-calcium phosphate, olive oil, rice flour, silica, non-gmo, maltodextrin. All minerals are whole brown rice amino acid chelates. Free from the common allergens yeast, wheat, soy and milk.